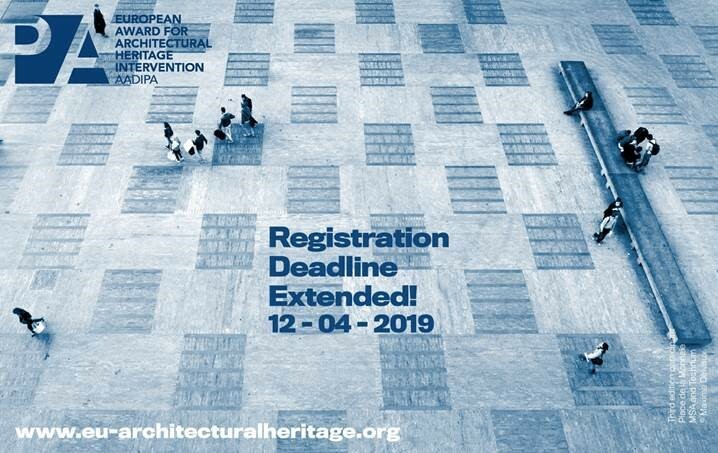 We announce that the registration deadline is extended until the 12 April, 2019, 24.00h. 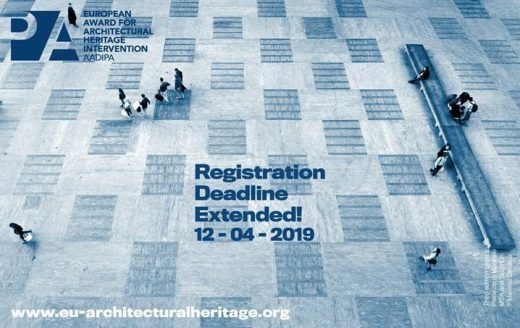 The registration for the 4th edition of European Award for Architectural Heritage Intervention AADIPA, a biennial contest organized with the support of COAC (Architects’ Association of Catalonia) and AADIPA (Association of Architects for the Defence and Intervention in Architectural Heritage) the purpose of which is to distinguish patrimonial good practices and contribute to their disclosure, will remain open until April 12th, 2019. The Award for Architectural Heritage Intervention AADIPA’s 4th call, addressed to professionals related to interventions in architectural heritage – architects, historians and archaeologists. Category A: Intervention in built heritage All architectural, permanent or ephemeral interventions in architectural properties of heritage interest. Category B: Exterior spaces All interventions in the historic public space, in monumental and cultural landscape environments. 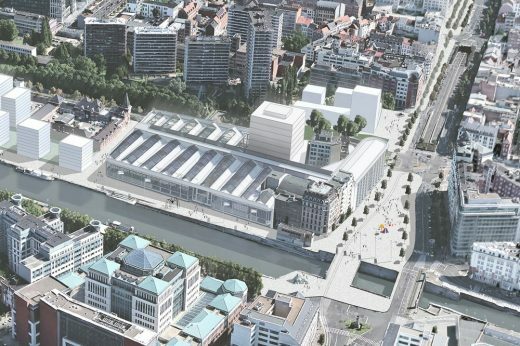 Category C: Urban planning All planning work aimed at the protection, conservation and enhancement of architectural heritage. Category D: Disclosure Those initiatives, activities and actions that are aimed at disseminating the values of architectural heritage. 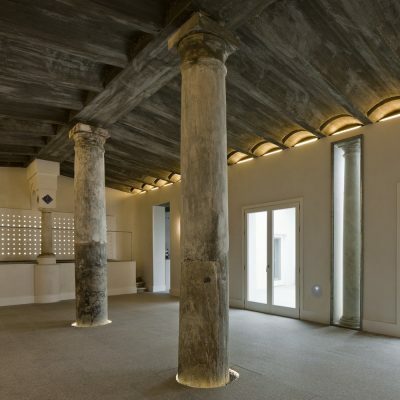 One more year, the European Award for Architectural Heritage Intervention AADIPA has an international jury for each category that, in its 4th edition, will be formed by the architects: Louis Leger, partner of the architecture studio BAST of Toulouse; Marià Castelló from Marià Castelló Architecture based in Formentera; and Leticia Soriano from Alea Olea, in Category A. Benoit Moritz, founder of the Belgian firm MSA; Elisabeth Abalo from Abalo Alonso Arquitectos; and Elena Albareda from Cíclica, in Category B. Professor in Urban Design and Landscaping at the Polytechnic of Milan, Chiara Nifosi; Javier Gallego, Ph.D. in Architecture from the Universidad Politécnica in Madrid; and Joan Casadevall, director of the architecture project Gabinet del Color, in Category C. Finally, Mariana Correia, international consultant for ICOMOS on World Heritage; José Manuel Chacón Bulnes, Ph.D. and Master’s degree in the Restoration of Historical Heritage from the UPCT; and Anna Ramos, architect and director of the Mies Van der Rohe Foundation in Barcelona, in Category D.
In the 4th edition, besides, one of the award’s latest developments is to increase the number of works selected as finalists. Thus, in category A, the jury will make a selection of up to 15 and in B, a maximum of 10, from which, in both cases, will emerge an award-winner and three finalists; on the other hand, in categories C and D, there will be one winner and three finalists. With this new formula, the Award management is committed to giving visibility to a greater number of works and recognizing the optimum level of good heritage practice in Europe. In addition, from all the work presented, the award management, will concede for the first time a Special Restoration Award to the intervention that from a technical and methodological point of view stands out for its quality, precision and respect. The European Award for Architectural Heritage Intervention AADIPA, led by Ramon Calonge, Oriol Cusidó, Marc Manzano, and Jordi Portal, architects members of the group AADIPA, that in its previous edition enjoyed registration figures confirming its international notoriety and with relevant overall quality in the presented proposals, aspires to continue increasing participation and quality, to consolidate its European scope and to involve associations, citizens and other agents related to heritage in order to open up to society. 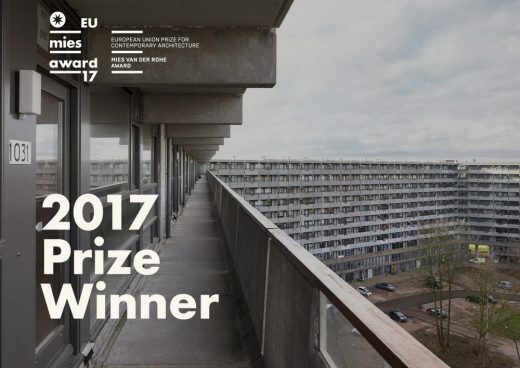 – The conversion of a convent into a holiday apartment complex, the restoration of a group of plots as urban market gardens and an urban development plan responding to the demands of local residents are among the winners of the 3rd European Award for Architectural Heritage Intervention AADIPA. 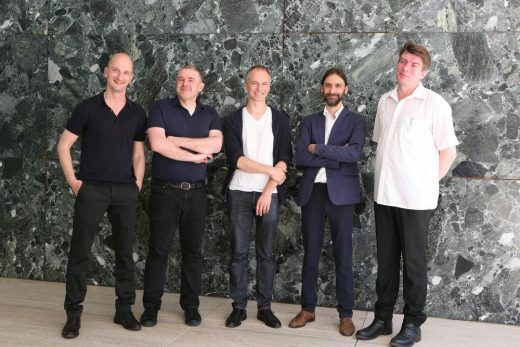 The jury, which praised the overall quality and rigour of the almost 200 entries, short-listed 18 projects from which it selected four winners and two special mentions. 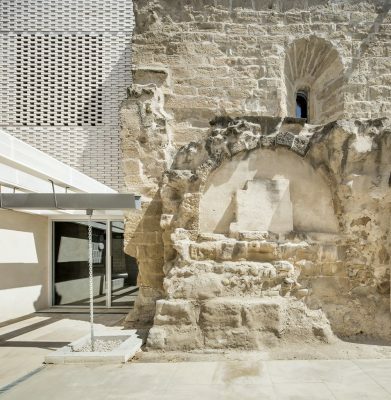 – The European Award for Architectural Heritage Intervention AADIPA is a biennial award organised by the COAC (Association of Architects of Catalonia) and the AADIPA (Association of Architects for the Defence and Intervention in Architectural Heritage), with the collaboration of the Ministry of Culture of the Government of Catalonia. This third award has maintained a high level of international participation, with Spain, Portugal, France, Italy and Belgium being the best-represented countries. 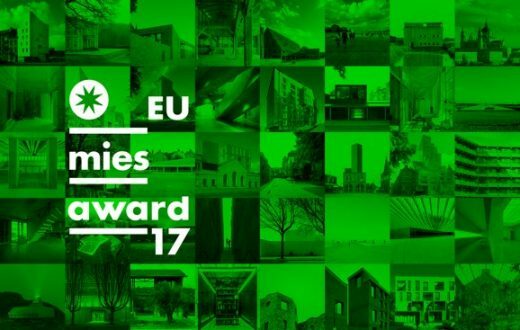 Barcelona, 15 June 2017_ The winners of the 3rd European Award for Architectural Heritage Intervention AADIPA were announced by the jury today at the COAC headquarters in Barcelona. The announcement of the 18 short-listed projects, from which two special mentions and four winners were chosen, was made during the 3rd International Architectural Heritage Intervention Biennial AADIPA. The awards were presented by Mr Jusèp Boya, Director General of Archives, Libraries, Museums and Heritage of the Ministry of Culture of the Government of Catalonia; Mr Daniel Mòdol, Councillor for Architecture, Urban Landscape and Heritage of Barcelona City Council; Mr Albert Civit, Director of INCASOL (Catalan Land Institute); and Mr Lluís Comerón, Dean of the Association of Architects of Catalonia. 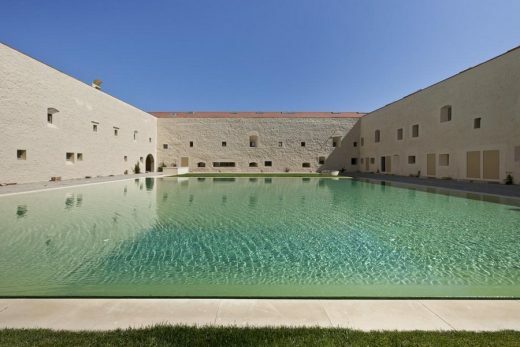 From the short-listed entries, the jury decided to grant the award to the conversion project of the Bernardas Convent in Tavira by the Portuguese architect Eduardo Souto de Moura. 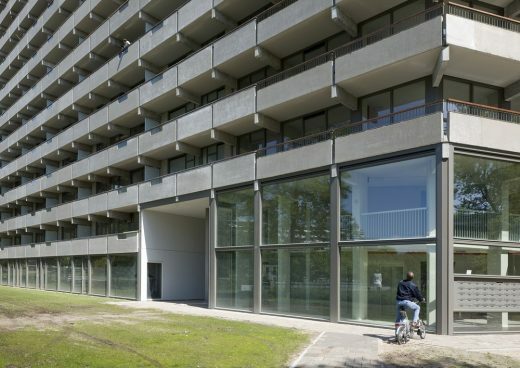 The decision was taken after taking into consideration the special difficulty involved in achieving high architectural quality in a private development, creating a holiday apartment complex without undermining the architectural and heritage qualities of the original convent. 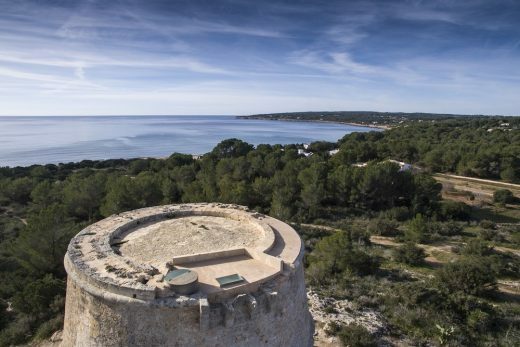 Furthermore, the jury decided to award a special mention to the restoration of the Es Pi des Català Tower in Formentera, by Marià Castellò, due to the precision, simplicity and efficacy of the intervention. 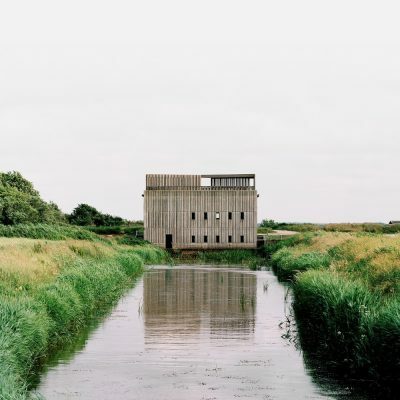 The jury has recognised smaller-scale heritage interventions with the goal of striking a balance in the award. 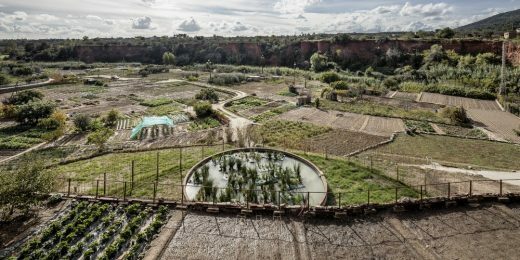 The jury decided to grant the award in Category B to the Caramoniña allotments project, by Abalo Alonso Architects. This intervention preserves and showcases an element of social heritage: the productive landscape. 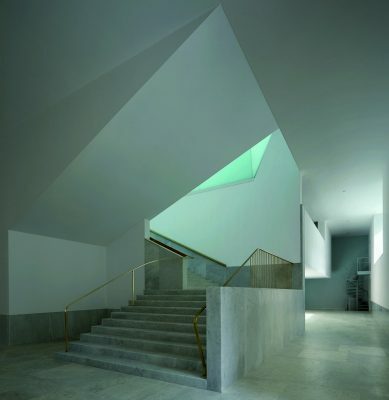 The project involves the masterful handling of just a handful of elements through the adoption of a subtle and interwoven approach, magnificently outlining a place and facilitating new routes that keep it active and provide it with an identity that is both new and ancient. 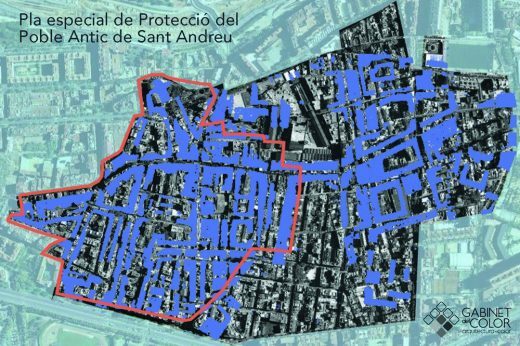 The winning entry in Category C was the Special plan for the heritage protection of the ancient village of Sant Andreu del Palomar, by Joan Casadevall. 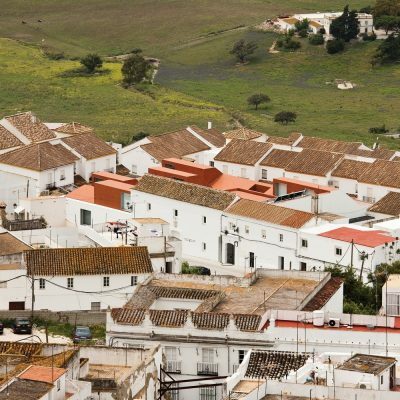 The jury highlighted the historical and social approach adopted in the project, along with its sensitivity to the demands of local residents. The project attaches great importance to the value of the document in technical and executive planning as a tool to enable intervention in a historical centre while taking into account the morphological structure of the district, its green spaces, typological diversity and the configuration of the street on the basis of its façades. 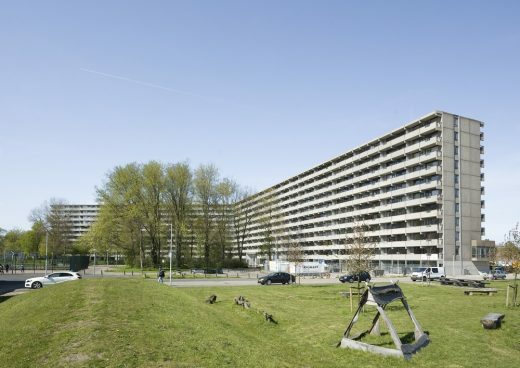 In this same category, the jury considered that the Programmatic and urban study for the Citröen building, by the Belgian team of MS-A / Wessel De Jonge deserved a special mention for tackling the reuse of industrial heritage and for its recognition of modern architecture, inserting a new programme committed to a mixture of uses and interventions that engage with the existing building. 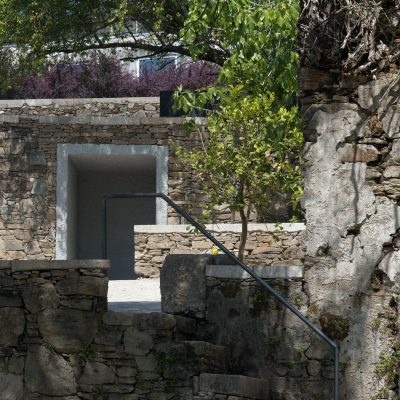 The winning entry was VerSus: Lessons of vernacular heritage in sustainable architecture, by the ESG / Escola Superior Gallaecia and Partners, coordinated by Mariana Correia (Portugal). 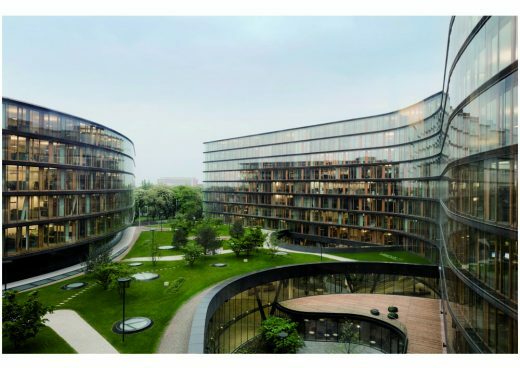 The jury considered that the project brought together scientific study and a practical call for forms of construction which, while being traditional and heritage-based, are truly sustainable and contemporary. 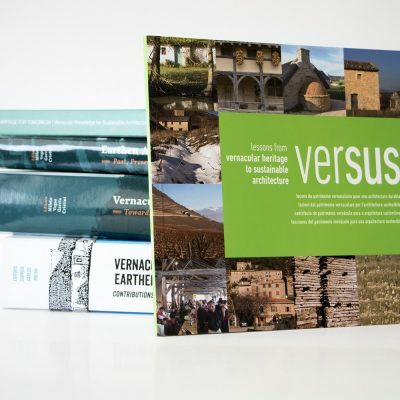 With a large and extremely professional multidisciplinary international team, VERSUS stands out in particular for the dissemination of vernacular architecture in all sorts of formats and on many levels, which it achieves by raising the awareness of the societies that inhabit it and by reaching out to the international scientific community. 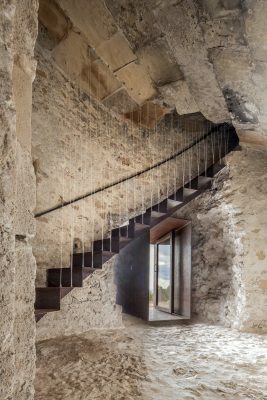 The pictures with unspecified credits (‘photo courtesy of European Award for Architectural Heritage Intervention’) are photos ceded to the award for press use, confirmed by P O C H Edición Arquitectura Comunicación, 16th June 2017. Ref. 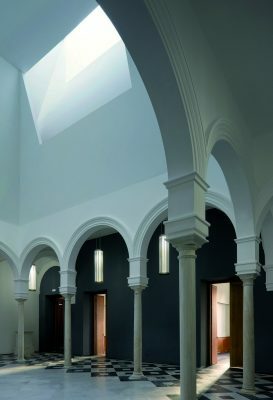 https://www.eu-architecturalheritage.org/en/rules page 13, Intellectual property and assignment of image reproduction rights, noting images are free of copyright. 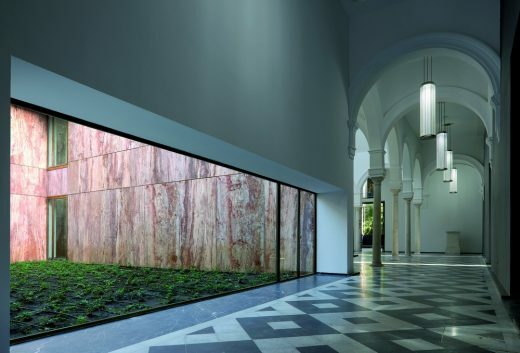 The Award Granting Ceremony will take place on May 26 at the Mies van der Rohe Pavilion in Barcelona.